Outgoing United States Secretary of Defense James Mattis has rejected an appeal made by Israeli Prime Minister Benjamin Netanyahu to approve an Israeli sale of US-manufactured F-16 fighter jets, a report says. Washington criticized the sale as a move to weaken and compete with the American arms market, according to an unnamed Israeli official speaking to Israel’s Channel 10 television network on Thursday. The $500-million sale of 12 F-16 aircraft to Croatia, equipped with Israeli electronic systems, required American approval. Washington, however, demanded that Israel only sell the planes in their original condition, removing the Israeli upgrades. Last week, Mattis cancelled a planned trip to Israel that had been reportedly set to be focused on talks regarding Iran and Syria. 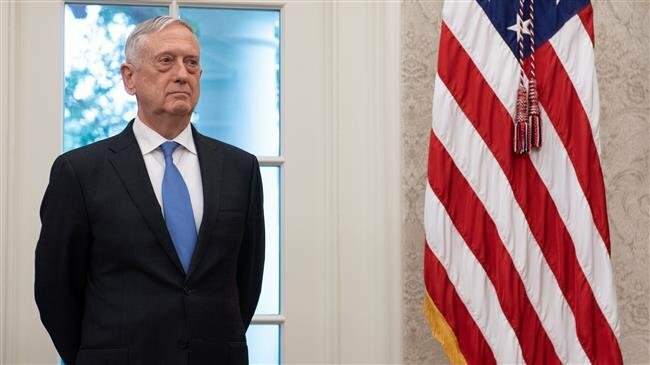 The move came after the defense secretary resigned, citing disagreements with President Donald Trump’s decision to withdraw US forces from Syria. As the US government is in shutdown due to a dispute with Congress over the allocation of $5 billion in funds needed for Trump’s proposed southern border wall, the US enforced a whooping 10-year $38-billion aid package to Tel Aviv last October. The aid package, which includes an annual $3.3-billion contribution, was signed during the tenure of former US President Barack Obama in 2016. The package will provide Israel with free military material until 2028. Earlier in October, Congress further proposed a motion to legally enforce the aid package, ensuring that future presidents could not suspend the package or use it to pressure Israel. The motion, which has yet to be approved by the Senate, seeks to set up a special mechanism to fund the aid independently from the annual budget as to protect it from probable budgetary disputes between Congress and the White House. Last March, Congress also approved a record-setting $705-million budget for Tel Aviv’s missile programs in 2018. The United States and Israel have planned to block an upcoming Palestinian statehood initiative at the United Nations Security Council. “We are preparing to stop the initiative,” said Israel’s ‎UN Ambassador Danny Danon in a statement on Thursday. Danon said his delegation is working with the US administration to counter the Palestinian move. The Israeli official expressed frustration about the initiative, accusing the Palestinian Authority of “paying salaries to terrorists each month” and having the “audacity” to apply for UN state membership. “Instead of ‎focusing on building a better and more hopeful future for the Palestinians ‎and helping to ensure stability in the region, the Palestinian leadership is ‎continuing its destructive policies that have encouraged recent terror ‎attacks”, the Israeli envoy claimed. 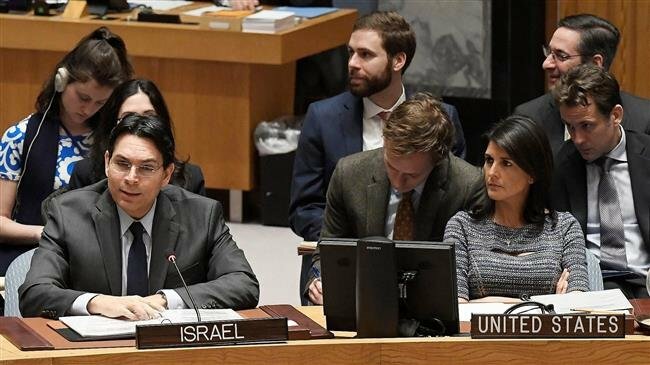 Danon made the remarks after Palestinian Foreign Minister Riyad al-Malki announced on Wednesday that he intends to initiate an application for UN state membership in mid-January. Earlier this year, the UN General Assembly voted, by an overwhelming majority, to temporarily grant the “State of Palestine” additional rights and privileges, allowing it to head the "Group of 77", the biggest bloc of developing countries at the UN. The PA will take over leadership of the group in January. Al-Malki plans to initiate the UN membership application at the related event in mid-January, according to various Palestinian media sources. The last time the PA had applied for full UN membership was in 2011. UN membership requires approval from at least 9 of the UNSC's 15 members. The Security Council, however, did not reach such an agreement at the time, and instead recommended that the General Assembly give Palestine the status of a non-member observer state. Consequently, Palestine's status was upgraded to an observer state after winning 138 favorable votes at the General Assembly on November 29, 2012. Only 9 countries opposed the measure. Decisions made at the General Assembly cannot be vetoed by any of the other five permanent council members, including the US. The US is, however, expected to veto any upcoming Palestinian statehood resolution at the UNSC. The PA's new initiative contrasts with that of past negotiations, such as the Oslo Accords, where Palestinian statehood was to be considered only after a final status agreement with Israel was achieved. The push for unilateral statehood recognition comes as many believe Israeli-Palestinian negotiations have been clearly undermined by illegal Israeli settlement construction and other such violations. The anticipated Palestinian move comes as US President Donald Trump has yet to unveil his so-called “Deal of the Century”, the president's allegedly new Middle East road map. The controversial proposal, which has been described to be in line with the US' recognition of Jerusalem as Israel's capital last year, has drawn condemnation from many Palestinian and international figures.